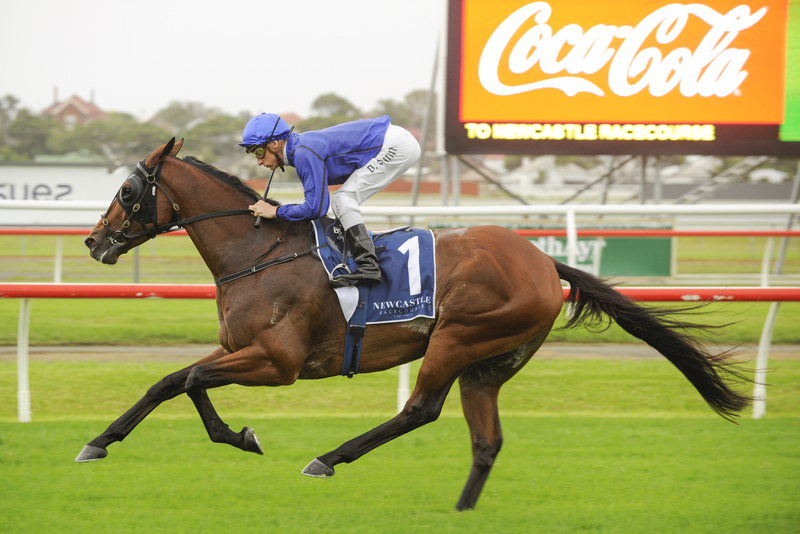 A total of 88 nominations have been weighed for the 153rd running of the Group 1 TAB Epsom Handicap (1600m) to be staged at Royal Randwick on Saturday, 29th September 2018. This year’s edition will be run with a 50.0kg minimum weight (48.0kg minimum weight for three-year-olds) with a total prizemoney purse of $1,000,000. The honour of topweight has been given to 118 rated gelding Happy Clapper with 59.5kg. Happy Clapper is a multiple Group 1 winner of the 2017 Group 1 Epsom Handicap (1600m), the 2018 Gr 1 Canterbury Stakes (1300m), and is the reigning champion of the 2018 Gr 1 Doncaster Mile (1600m) carrying 57.0kg to victory. Three-time Group 1 winner Humidor (NZ) is next in line allocated 59.0kg, his most recent victory being the 2018 Gr 1 Memsie Stakes (1400m) and was the 2017 Gr 1 Makybe Diva Stakes (1600m) winner along with the 2017 Gr 1 Australian Cup (2000m). Le Romain with 58.0kg is also a multiple Group 1 winner of the 2017 Gr 1 Canterbury Stakes (1300m), the 2016 Gr 1 Cantala Stakes (1600m) - the feature mile race of the Melbourne spring carnival - carrying 55.5kg under handicap conditions and the 2016 Gr 1 Randwick Guineas (1600m) for three-year-olds. Next in line with 57.0kg is Hartnell (GB) who is a triple Group 1 winner of the 2018 Gr 1 Orr Stakes (1400m), 2016 Gr 1 Turnbull Stakes (2000m) and the 2015 Gr 1 The BMW (2400m). Recent, Group 2 Tramway Stakes (1400m) and Gr 1 Doomben Cup (2000m) winner Comin’ Through has been allocated 56.5kg, along with the 2017 Gr 1 Doncaster Mile winner It’s Somewhat (USA). Other notable nominations are the 2018 Gr 1 Randwick Guineas (1600m) winner and 2018 Gr 1 Memsie Stakes (1400m) runner-up Kementari with 55.5kg. The 2017 Gr 1 Doomben Cup winner Sense of Occasion and dual UK Gr 3 winner Mr Moonlight Magic (GB) will carry 55.0kg. The highest-weighted mare is the 2017 Gr 1 Cantala Stakes (1600m) winner Shillelagh (NZ) with 53.0kg. Shillelagh (NZ) also ran 2nd in the 2018 Gr 1 Tatt’s Tiara (1600m). Comin’ Through with 56.5kg is exempt from the ballot due to his win in the 2018 edition of the Gr 2 Tramway Handicap (1400m). There are three three-year-old colts nominated, Fighting Harada, Master Ash and Tavisan (NZ), along with 3yo filly Seabrook, winner of the 2018 Gr 1 Champagne Stakes (1600m) for two-year-olds. All have been allocated 48.0kg, the minimum weight for three-year-olds.